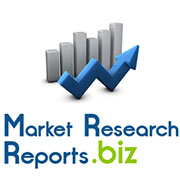 MarketResearchReports.Biz include new market research report "China Automotive Bumper Industry Report, 2014-2017: Industry Analysis, Size, Share, Growth, Trends And Forecast" to its huge collection of research reports. Browse All Automotive Market Research Reports at http://www.marketresearchreports.biz/tag/Automotive. View Full Report at http://www.marketresearchreports.biz/analysis/216436. Bumpers, one of easily delicate products, mainly involve the new car supporting market (OEM) and after-sales replacement market. And the former is determined by the output of new cars while the latter is directly proportional to the car ownership. Thanks to a drastic increase in the output and ownership of the vehicles, the market capacity of bumpers in China reached 56.24 million pieces, up 14.5% from a year earlier. Download Detail Report With Complete TOC at http://www.marketresearchreports.biz/sample/sample/216436. Browse All China Market Research Reports at http://www.marketresearchreports.biz/country/China. View Full Report at http://www.marketresearchreports.biz/analysis/213131. As an exceedingly important functional part of automotive interiors, instrument panel not only requires being installed with such devices to display information about a vehicle as meter, display screen, acoustic system, air-conditioning system, but needs to be equipped with defrost system, air outlet, glovebox, cup holder, ashtray, airbag, etc. Download Detail Report With Complete TOC at http://www.marketresearchreports.biz/sample/sample/213131. Driven by the substantial rise in China’s automobile output, the Chinese instrument panel market volume climbed 14.7% YoY to 23.32 million units in 2013, with the growth rate up 9.3 percentage points from 2013. The market demand for instrument panel is closely linked with automobile output. In the future, as the growth rate of China’s automobile production slows down, the growth rate of instrument panel output will drop as well. View Full Report at http://www.marketresearchreports.biz/analysis/212973. Passenger vehicle seat motors account for above 95% of the entire automotive seat motor market. Only mid-range and upscale passenger vehicles were equipped with seat motors before 2010, but, with intensified configuration competition among vehicle manufacturers and users’ growing appetite for comfort, the installation rate of automotive seat motor has been gradually increasing in recent years. Download Detail Report With Complete TOC at http://www.marketresearchreports.biz/sample/sample/212973. Japanese and German companies play a leading role in automotive seat motor market globally, with the former ranking first with over 40% market share. The world’s eight major automotive seat motor suppliers occupy 70% of the global market, of which four are from Japan, namely, ASMO, Nidec, Mitsuba and Mabuchi, two from Germany, i.e., Bosch and Brose, one from Hong Kong, China, i.e., Johnson Electric, and one from Chinese Mainland, i.e, Shenghuabo Group. View Full Report at http://www.marketresearchreports.biz/analysis/211700. China’s automotive door panel market volume stems from new vehicles and aftermarket. In 2013, the Chinese market capacity of automotive door panel increased by 15.3% year on year to 88.1 million pieces. During 2014-2017, the furthe rise in both China's automobile output and ownership will enable the Chinese market volume of automotive door panel to grow at a rate of at least 9%. Download Detail Report With Complete TOC at http://www.marketresearchreports.biz/sample/sample/211700. At the end of 2013, HUAYU Automotive Systems Co., Ltd. acquired 50% equities of Yanfeng Visteon Automotive Trim Systems Co., Ltd. and then renamed it Yanfeng Automotive Trim Systems Co., Ltd.. Covering automotive interior, exterior, seats, electronics and safety systems, Yanfeng Automotive Trim Systems achieved the revenue of RMB49.871 billion in 2013, up 25.4% year on year. View Latest Market Research Articles at https://www.linkedin.com/today/author/138651764.